It’s that time of the week again – Color Crush time. So much fun stuff going on here. I was inspired by the top left photo – the whimsical food candy with the rainbow sprinkles. There’s something so fun, almost irreverent about these types of posts. But alas… if you’re like me, you’ve been stuck at your desk – alas, it’s not millennial pink. It’s been hot as HECK in Denver for the last few weeks and it’s gotten me wanting to wear bright colors – vibrant grapefruit pink, cheery goldenrod yellow, the lush lavender color. 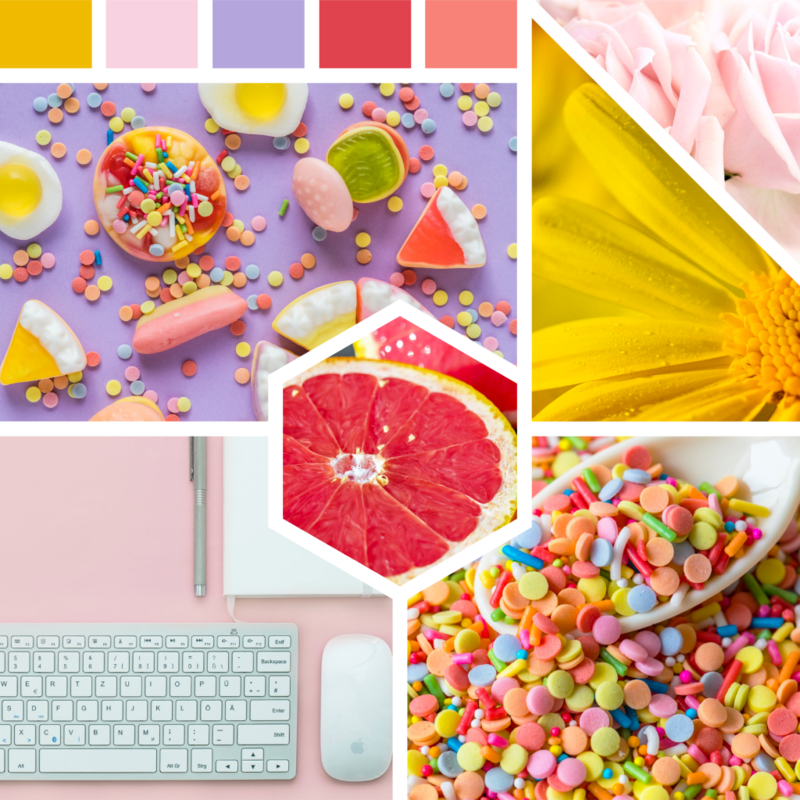 Add in some baby blues and a saturated, almost mid-century green in the sprinkles and candy and you’ve got yourself a summer inspired Color Crush.